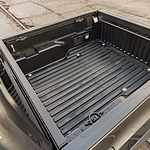 In addition to having the capacity to perform in all kinds of conditions, a mid-size pickup truck also has to be able to carry a considerable amount of cargo. The Toyota Tacoma is one of the more favored choices in its class for these reasons. One aspect of the Toyota Tacoma that gives it both on-road performance and towing strength is its Atkinson-cycle 3.5-liter V6 direct-injection engine to give it 278 horsepower and 265 lb.-ft. of torque. There is also an option to include a tow package that increases its maximum towing amount to 6800 lbs. or carry as much as 1440 lbs in its payload. Both options maximize its ability to complete difficult jobs. Would you like to see the Toyota Tacoma in person and take it for a test drive? Make an appointment today to see it at our showroom at Mann Toyota in Prestonburg as soon as possible.